Myokines are proteins released by skeletal muscles during contractions/exercise. By engaging regularly in high intensity exercise, you can control the release of myokines. Learn what a decade of scientific research into myokines tells us about the awesome power of myokines. Skeletal muscle tissue is made up of muscle fibers, connective tissue, blood vessels and nerves. Under the control of the somatic nervous system (SNS), skeletal muscle produces force, creates movement. 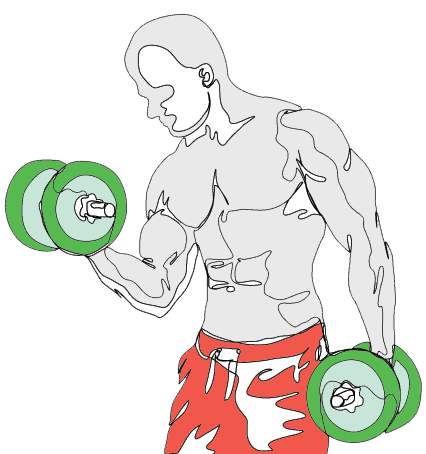 Muscles get bigger and stronger if you exercise, smaller and weaker if you don’t…simple. This is the basic understanding of muscle that most of us have. There is however more benefit to exercising muscle tissue which we are not able to directly observe, and which science is only just beginning to reveal. It was my recent conversation with Doug McGuff, MD, that lit a fire under my desire to understand myokines better – as they are small proteins with big health benefits. Doug has been ahead of the curve in his passion for the science of myokines writing about them on his blog since at least 2013 and probably earlier. Myokines are exciting not only for their positive impact on health but also because they reveal that muscle tissue can no longer be perceived as a “dumb” collection of fibers acted upon by the nervous system. In the light of myokine research skeletal muscle can now be viewed as a fully-fledged secretory organ. The first protein to be labelled as a myokine was myostatin, a mere decade ago in 2008, this is a young and fast developing field. In this post I will summarize current understanding of the impact of the most well-researched myokines so far. Myokines are small proteins (with big health benefits) that are secreted by muscle cells during muscular contractions. They are signalling cells, meaning that they communicate with other cells and “tell them what to do”. 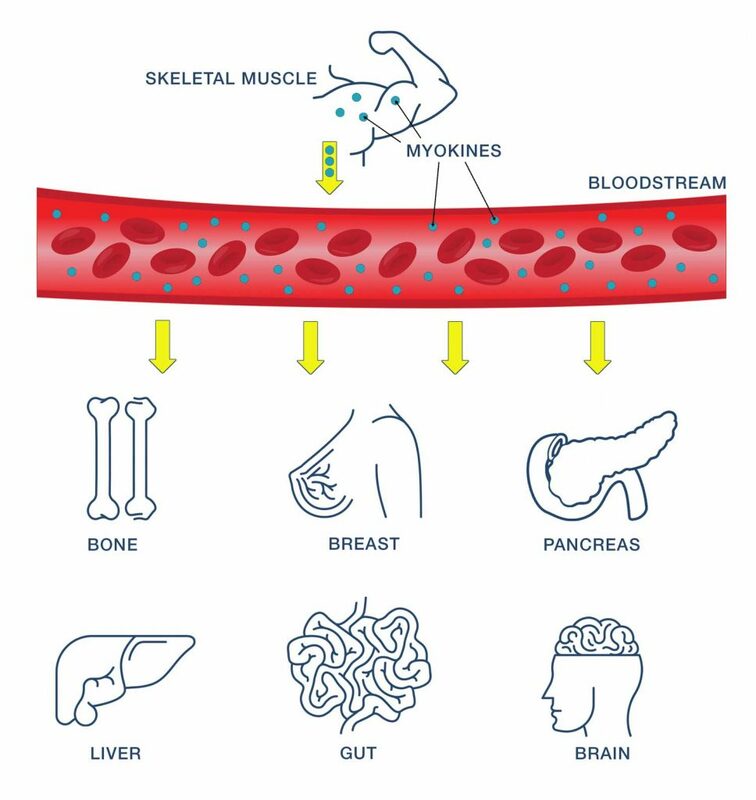 Their impact goes beyond muscle cells; some myokines enter the bloodstream and communicate with bone, fat, liver, pancreas, heart, immune and brain cells. The first protein to be labelled as a myokine was myostatin and that was only a decade ago. The science is very new. Since then more than 100 separate myokines have been identified. What the heck are Myokines anyway? Myokines are a type of cytokine, to avoid getting circular let’s start right there. Cytokines are small proteins that play an important role in cell signalling. Cell signalling is the “talk” or instructions that are sent within and between cells impacting their behaviour. Cytokines can communicate with the originating cell itself (autocrine), with nearby cells (paracrine), and even with distant organs (endocrine). They play a particularly notable role in immune function and therefore in health, wellbeing and disease. 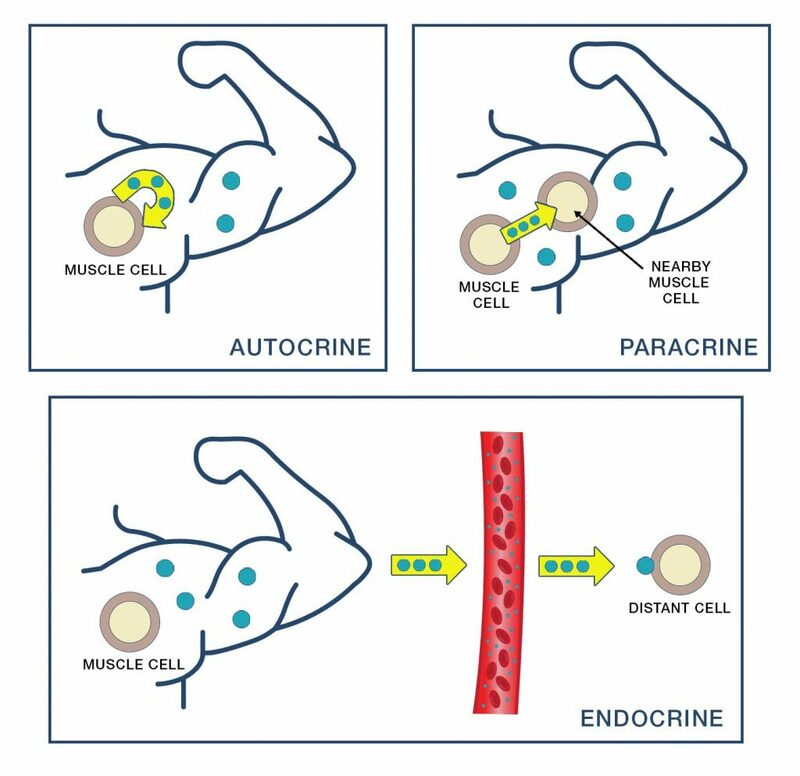 Three ways myokines send messages within muscles cells or between different cells. Myokines are a subset of cytokines, ones that are secreted by muscle cells during muscular contractions. The physiological changes stimulated by myokines are widespread, including benefits such as positive metabolic adaptations, tissue repair and immune function enhancement. More than 100 separate myokines have been identified so far, however not all are understood well or at all and there are likely many, many more, possibly thousands that are currently unknown altogether. Exercise factors are a subset of myokines. Whilst many myokines act locally within skeletal muscle itself, some known as Exercise Factors, have been proven to release into circulation during exercise, their impact goes beyond muscle cells. 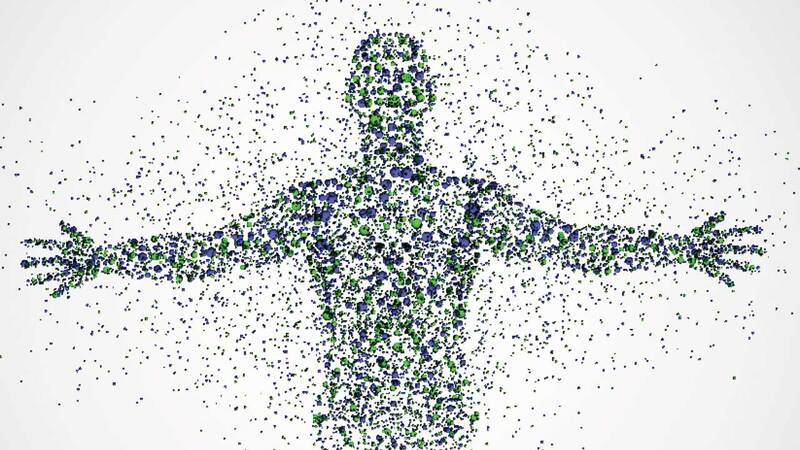 There are myokine receptors on muscle, bone, fat, liver, pancreas, heart, immune and brain cells, highlighting a potential for widespread influence. 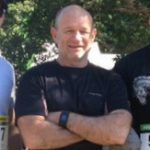 In this post, we will look primarily at myokines that have been proven to (or have the greatest potential) to be Exercise Factors as these are likely to have the greatest impact on physiology and health. What stimulates the release of myokines? As you perform exercise, for example the leg press, and your hip and thigh muscles contract, a stress-like response occurs in skeletal muscle tissue stimulating the secretion of myokines. This results in elevated levels of those myokines in muscle cells, and in the case of Exercise Factors in plasma too. This is the acute effect of a single exercise bout. Regular exercise (repeated bouts over time) causes a chronic adaptive response, meaning baseline levels of myokines between workouts are altered. The chronic effect may be quite different to the acute effect. For example, acutely levels of a myokine may spike in direct response to exercise, yet chronically levels may be lower at baseline. We will look at both types of response in this post where possible, chronic responses however are less well studied and understood than acute responses. What’s the big deal with myokines? In the big picture, myokines are known to behave as anti-inflammatory cytokines important for muscle recovery, repair and hypertrophy and driving the uptake of glucose into skeletal muscle. Beyond muscle, myokines have a positive impact on the prevalent metabolic diseases of today including type 2 diabetes and obesity. They are also known to play a role in bone development, have been shown to slow tumor growth in some cancers and help to stave off sarcopoenia and age-related muscle loss. If exercise is medicine the active ingredients are myokines. Without further ado let’s take a closer look at the best understood myokines, starting out with those that are proven Exercise Factors. Remember Exercise Factor Myokines are ones that enter the bloodstream and affect other organs, after working out. May play a preventative role in cardiovascular and metabolic risk factors. * These are probable exercise factors. This means that they are likely to be proven (or have been proven to some extent) to enter the bloodstream after exercise but the evidence needs to be more robust for verification. Improves insulin sensitivity in muscle tissue via increasing glucose uptake. Both acute and long-term exercise stimulate an increase of BDNF levels in muscle tissue. It is worth noting that the brain also secretes BDNF and it is from that source exclusively that BDNF enters the bloodstream. BDNF is involved in the repair of muscle tissue, activating satellite cells and signalling AMPK- a fuel sensing enzyme. Via the above, plays an important role in improving the delivery of oxygen and energy to skeletal muscle tissue. Let myokines be your medicine, in strength and health. Myokines are released by skeletal muscles during contractions/exercise. They communicate an anti-inflammatory message helping locally in the repair, regeneration and hypertrophy of muscle tissue. Beyond that they play an important role in keeping many organs and processes within the body working optimally. Myokines are valuable in the prevention and control of metabolic dysfunction, chronic diseases, and even some cancers. Exercise-induced myokines: a brief review of controversial issues of this decade, Jun Seok Son,Song Ah Chae,Eric D. Testroet,Min Du &Hyung-pil Jun, January 2018, Expert Review of Endocrinology & Metabolism 13(1), DOI 10.1080/17446651.2018.1416290. Available here. The search for exercise factors in humans Milene Catoire and Sander Kersten. Nutrition, Metabolism and Genomics Group, Division of Human Nutrition, Wageningen University, Wageningen, The Netherlands. The FASEB Journal. Available here. Skeletal muscle as an endocrine organ: PGC-1α, myokines and exercise, Svenia Schnyder and Christoph Handschin. US National Library of Medicine National Institutes of Health. Available here. Interplay of adipokines and myokines in cancer pathophysiology: Emerging therapeutic implications, Maria Dalamaga. US National Library of Medicine National Institutes of Health. Available here. Muscles and their myokines. Pedersen BK1. US National Library of Medicine National Institutes of Health. Available here. needed to make those kinds of decisions happen faster. HRV is a good, objective second opinion, and has helped reduce my previous tendency to push too hard at times. All the studies about this topic have been made with cardio exercises. We need a valid study with HIT, becaus the results would be different, as I assume. This is what I figured. To failure I believe is critical. As for frequency, any good research you know of that suggests what might be best? I have not seen anything in the research comparing frequency as the variable specifically being focused on. The research that I have seen that looks specifically at resistance training has all tended to use a 3x per week fullbody protocol. Right on Fred. “Regular exercise” is rather vague. I guess another way to put the question would be “how do you talk to the myokines, and how do you understand what they’re telling you”. I’m still stuck with crude measures like blood pressure and pulse after each set, and increased time and resistance to failure after rest intervals, and without much direction on how to interpret these, except “common sense” – ie. slower, harder reps and lower bp and pulse following indicate improved strength. OTOH – if I stick to a “regular” schedule, and work out while I’m injured, fatigued, have a bad cold, or just don’t feel like it , all bets are off, and the risk of injury looms. We all need to deal with the stressors we face (fatigue, colds, injuries etc), having the ability to decide when not to exercise is a learned/ mature skill, especially for the highly motivated exerciser. This is the polar opposite of the problem a majority of people have: a lack of meaningful exercise altogether. I for sure have exercised in the past when it was probably not in my best interest to do so, all because I felt I was on a roll and didn’t want to skip a workout. In my 20’s it took a doctor hammering home the risks to stop me running a marathon a couple of days removed from getting out of bed after flu! It has probably taken me far longer than it could have to figure out how best to balance exercise with recovery, or at least be in the right ballpark. Knowing when your energy/resources are at the peak of the wave, cresting, down in a trough or somewhere in between is all part of the process of getting the most out of exercise and makes this all the more interesting. So what’s the best way to lift weights then to stimulate the best response? Safely. Under control. With as close a proximity to MMF as you are capable of/works for you. As frequently as you can whilst experiencing a net postive in terms of your energy levels and ability to handle all of the acute and cumulative stressors in your life. This is likely to get an individual as an appropriate myokine response from resistance training as possible.